Increase your sales and add some product accessories to your products. You can choose: either optional or mandatory. It belongs to you! This plugin requires the free Redux Framework Plugin to give you an easy to manage settings panel. 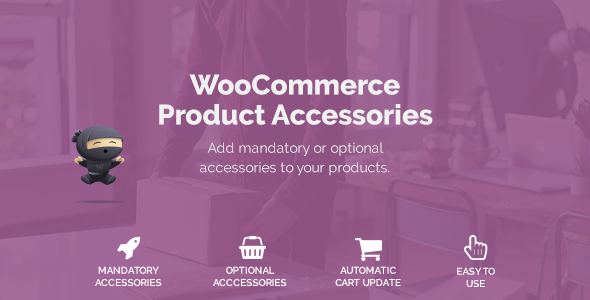 - FIX: When accessory is connected to multiple products the cart quantity will be updated etc.